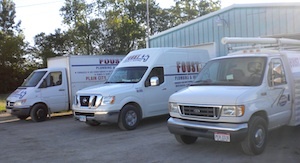 Sales, service and installation of: furnaces, heat pumps, air conditioning, water heaters, faucets, sump pumps, well pumps, geothermal systems, boilers, garbage disposals, water softeners, gas lines and all general plumbing and heating needs. Drain cleaning and drain line camera inspections. Annual heating and cooling inspections (no contract required). Free estimates. Involved with Stefanie Spielman Fund for Breast Cancer Research (donation with each purchase of high efficiency Rheem equipment. Residential and light commercial installation, service and repair.